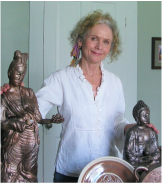 Marie is a clay artist working with an eclectic mix of engraved images of gods and goddesses, functional pieces with swirls and ditties, and substantial sculpture. For almost forty years, she has worked and studied with a few of the greats. After her initial training at the University of Texas, she studied with Gary Huntoon at the Blanton School in Houston. 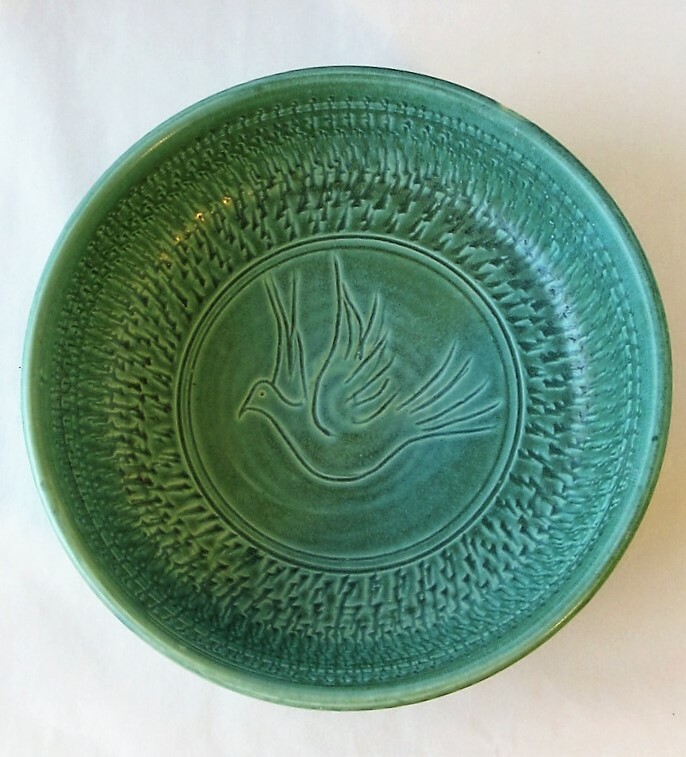 After a stint in Oakland, California, where she worked under the guidance of Marguerite Wildenheim, she helped set up the ceramic studio at the Peaceable Kingdom School, in Navasota, Texas, working with Potter/Sculpture Richard Cabral of Saint Thomas University in Houston. During that time, she worked under a National Endowment of the Arts grant at the Star of the Republic Museum in Washington-on-the-Brazos, Texas. After an apprenticeship with Ishmael Soto in Blue, Texas, she set up her first studio in Austin. Subsequently she settled in nearby Bastrop, Texas, and operated a studio gallery on Main Street for seventeen years, selling other artists’ work and participating in various community art events. 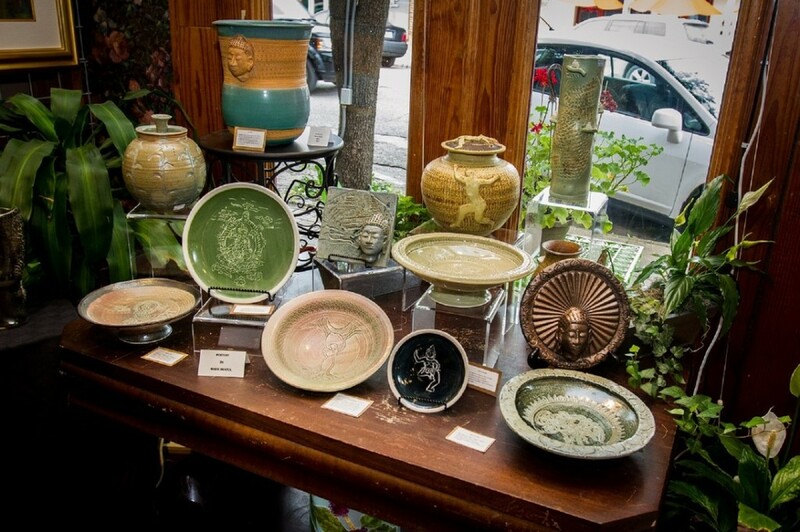 More recently she established a studio in Marfa, Texas, but spends most of her creative hours at Fireseed Clay Arts Studio in Austin.